Why are London's Housing Prices Still Rising? Saturday June 23, 2018 - Why do the Big Banks charge Homeowners more Interest than a Mortgage Broker or Mortgage Agent? While the past few weeks I have discussed housing prices in Ontario with the election of Doug Ford and the price of homes in London specifically, these articles did not discuss another important factor in assessing the value of homes in Ontario: the current state of Interest Rates. 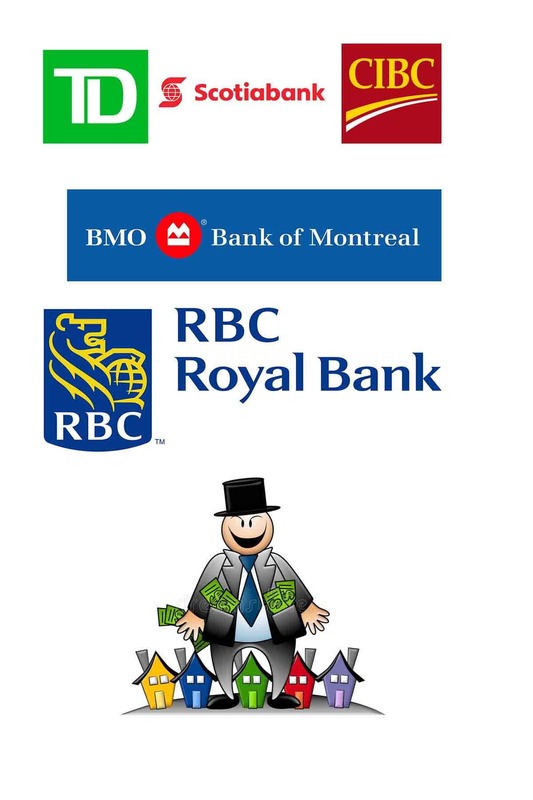 Last month the Toronto Star reported that the Big Banks (TD, Scotiabank, Bank of Montreal, CIBC and RBC) had increased their profits by 11% from the year earlier, up 10.6 Billion Dollars. While much of this profit does indeed come from investments, banking and other arms of the banks, a significant amount of the banks’ earnings comes from, you guessed it: Mortgages. So how have the banks’ earned so much from Mortgages? Let’s take a recent example using the current average home price in London Ontario: $366,096 with 5 percent down. RBC (Canada’s largest mortgage lender), has a current 5 Year Rate of 3.74 percent (this is considered a special). The Monthly Payments on this hypothetical house purchase is $1,862.68 , after which you will have paid $63,214.52. That seems like quite a bit of money, but not too bad right? Now (and here is the plug for my services), let’s take the interest rate available to a Mortgage Broker or a Mortgage Agent: 3.19. With this interest rate your Monthly Payment is 1,757.28, over 100 dollars less per month than you paid RBC. While this might not sound like much of a difference, at the end of your term you will have paid $53,721.67 in Interest – Almost $10,000 less than you will have paid RBC. This is not that the lenders that I use do not make money - Indeed they do! Therefore, if the lenders to which I have access are still making money, then you can imagine how much money RBC and the rest of the Big Banks are making for every mortgage they fund. So the Big Banks earn quite a bit of extra money by charging much higher interest rates on their mortgage. However, they also make quite a bit of extra money with something called the Interest Rate Differential (IRD), which comes into play when you go to break your mortgage early. I will be going over the specifics of the IRD in a later article. For now suffice it to say that compared to the lenders used by Mortgage Brokers and Mortgage Agents, the banks earn a lot of extra money from the IRD. If you are interested in taking advantage of the low interest rates to which I have access just send me a text or give me a call, 519-860-2102, or Contact Me.